Ganha até 0,40 US$ com a Kinguin Mafia! Sabe Mais! Tem em atenção que, devido à recente actualização da política da Valve, Steam Gift, Steam Gifts para jogos cobertos pelo programa de proibição VAC não pode mais ser adicionado ao Inventário. Certifica-te de que tu estás conectado à conta adequada antes de entrar no link, pois os Steam Gifts só podem ser adicionados à tua biblioteca ou rejeitados. 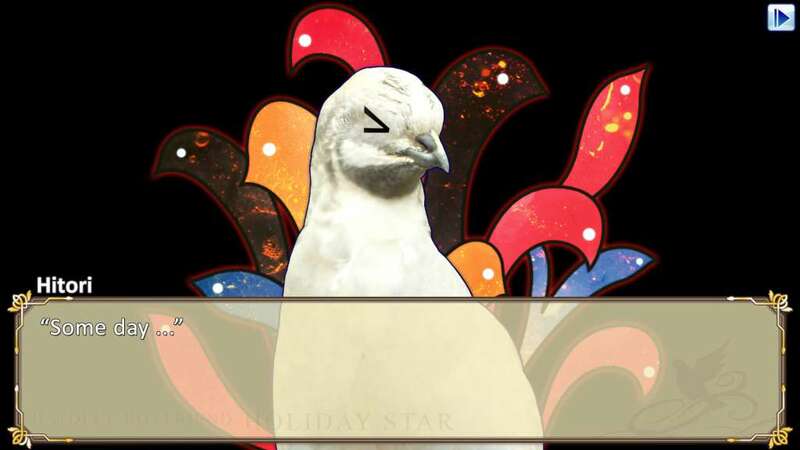 The loveable birds of Hatoful Boyfriend are back in the remastered holiday-themed sequel Hatoful Boyfriend: Holiday Star! Travel to fantastically styled worlds, meet interesting new chickadees, and find romance in the elegantly designed winter wonderlands. 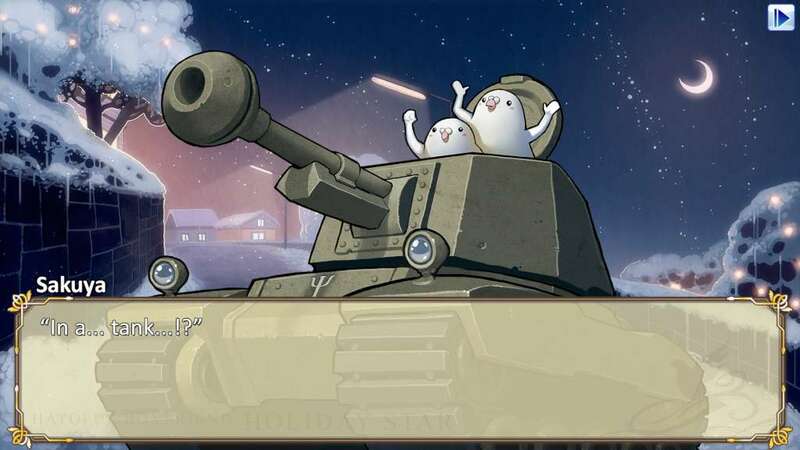 Dust the snow off your wings and take flight with familiar faces and new friends alike in extraordinary adventures hatched from the whimsical mind of the series creator Hato Moa and developer Mediatonic! 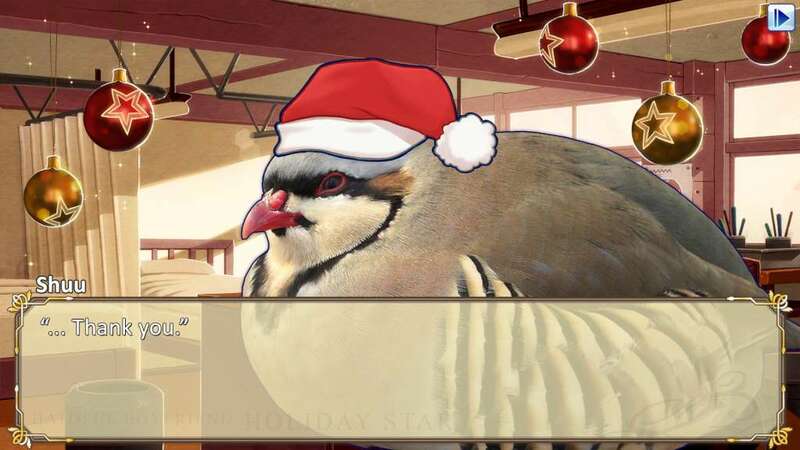 Freshly Hatched Presentation: Experience Hatoful Boyfriend: Holiday Star in glorious high-definition with extraordinary hand drawn scenery and a dazzling new watercolor world unlike any other. 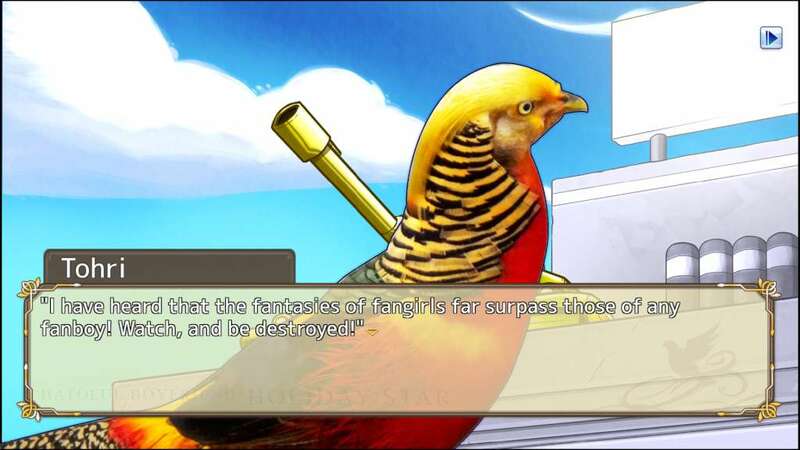 Old Friends and New Faces: All-new stories and adventures starring your favorite feathered romantics from the original game alongside a whole new flock of lovable birdies. 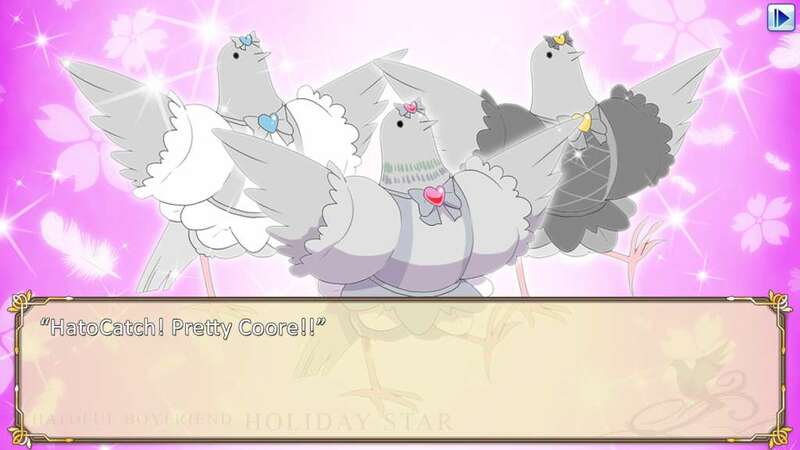 New Avian Antics: It’s not a Hatoful Boyfriend game without a bit of the bizarre like anime inspired magical girl transformations for all your favourite pigeon boyfriends, lab-grown birds stealing Christmas and a mysterious King of the Holiday Star. 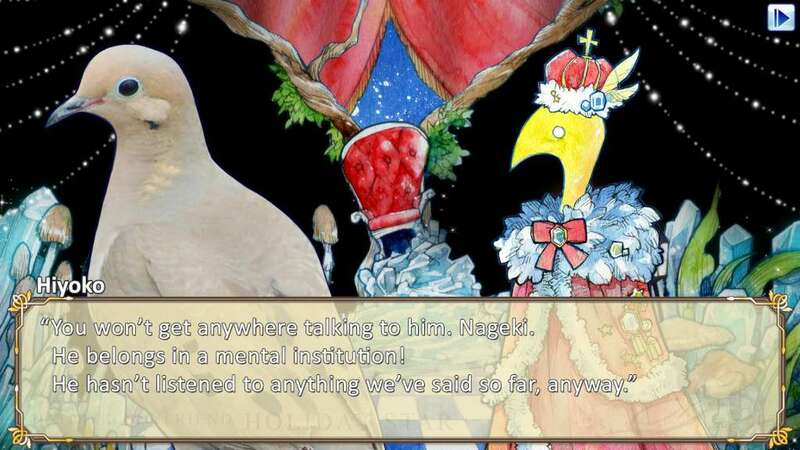 Delightful Side Stories: Veer off the flight plan for some marvelous episodic side stories and fun distractions like series favorite Ryouta and his fantastic radio show. Graphics: Graphics card with DirectX 9 level (shader model 2.0) capabilities.